Offshore companies in Seychelles can be set up in complete privacy without having to relocate in the insular state or providing many details about the owners. Even though it is not compulsory to organize board meetings when registering a company in Seychelles, such consultations are however recommended for management reasons, at least once in a year. 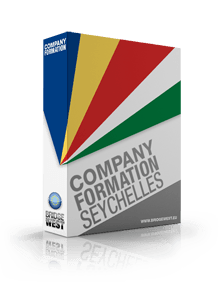 Starting a business is subject to an easy company incorporation process in Seychelles and a favorable tax regime. If you want to start such business, it is suggested to ask for guidance and information from our company incorporation specialists in Seychelles. From the start, we mention that an offshore in Seychelles can be registered without having to be present at the incorporation, as the owner of the business. Additionally, the information about the shareholders of such company is not publicly displayed, as they can run the business in complete privacy. As stated earlier, the shareholders are not obliged to hold annual meetings, but it is suggested to do so, in order to review the business direction, the management plan and many more. If you consider holding an annual shareholders meeting, please keep in mind that there is no need to travel to Seychelles, and instead, you can conduct such meeting with the help of video conferences or at the phone. There are also secured channels on the internet through which you can organize a board meeting. In most cases where a board meeting is held, the participants are, but not mandatory, the owners, the nominee directors or shareholders, and the representative of the company. There are situations in which the shareholder is also the director or the representative of the offshore company in Seychelles, meaning that there is no need for such type of meeting. In cases of companies with at least two shareholders, a board of directors and a representative, the board meetings can be scheduled, in order to discuss varied issues related to the business. The minutes of the board meeting, and the copies of the stockholders and directors’ resolutions need to be recorded by the company secretary who is also in charge of the board’s agenda. Board meetings of companies in Seychelles are not compulsory but can prove necessary in some cases. If you want additional details, please feel free to contact our team of company incorporation agents in Seychelles.